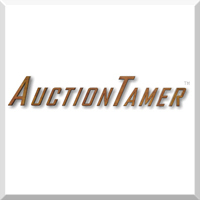 AuctionTamer has both buyer and seller features included in the same program. The plan you purchase determines the features that you can access. Buyer Access is $15.95 for 6 months and $24.95 for 12 months. Seller Access is $39.75 for 3 months, $69.75 for 6 months or $99 for 1 year or a 1-time purchase is $249.95. No extra listing or final listing fees. ImageTamer image hosting services are offered at an additional cost.